A gentle and energizing yoga class for disabled and able-bodied students, including those with special needs. This workshop will explore variations on basic yoga postures while seated in a chair, adapting and modifying movements to allow anyone and everyone to enjoy the benefits of yoga. Beginners are welcome. This class will explore the rise and fall of the breath and how it inspires natural movement. Exercises to open and release the core are combined with creative imagery for a fun and revitalizing experience. All ages and levels welcome! PLEASE NOTE! Due to the heat the Beginner House Dance Workshop at 4pm will be CANCELLED, as we are unable to run the projector. The Dance Mob and Bellydance workshops will go in as planned. See you at 4:45! 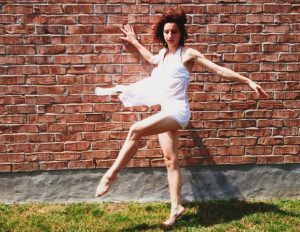 Dance Ontario presents ‘A Class Act: House Dance with Gadfly’. Classes taught by Apolonia Velasquez and Ofilio Sinbadinho. Gadfly is an Urban Dance repertory company and Choreography unit powered by Apolonia & Ofilio. We create, stage, perform, and share art to move people to move up. 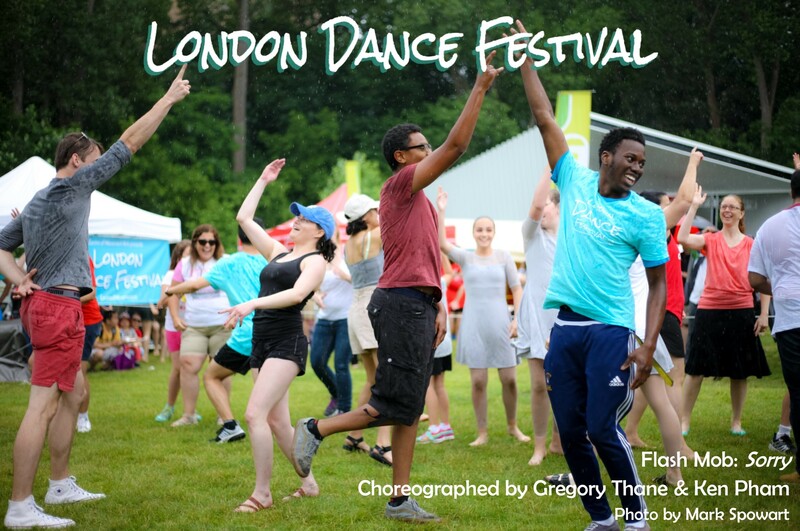 The Dance Mob (formerly known as the Flash Mob) is a fun and easy dance created by local artists and performed by the community. No dance experience is required and all ages and abilities are welcome. Join our 2018 choreographers Sam & Katharine for your final chance to learn the steps, then stick around to perform with us at 6pm! Bellydance is one of the oldest forms of dance in the world. 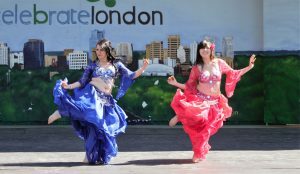 Learn basic steps and belly dance combinations with Luna. Beginners are welcome!